As expected earlier, Motorola has launched the 2nd-gen Moto 360 smartwatch in India that was unveiled at this year’s IFA in September. The new Moto 360 offers improved design and enhanced battery life. The new smartwatch also features a women’s edition. 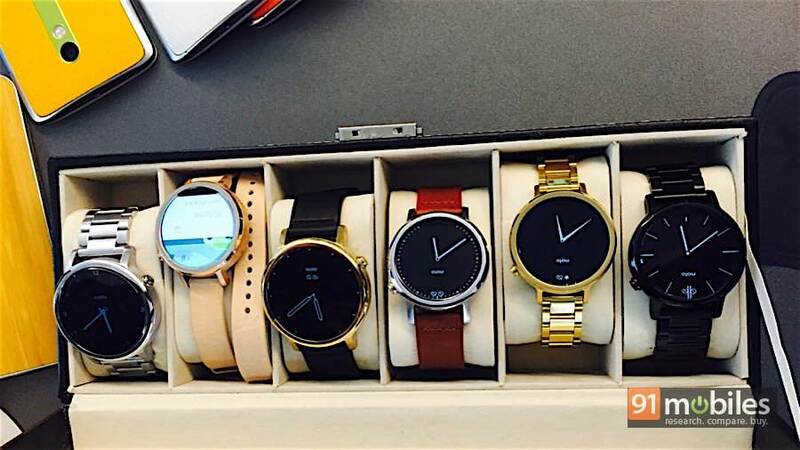 The Moto 360 comes in two sizes – 42mm with a 1.37-inch screen and 46mm with a 1.56-inch display. It is powered by a 1.2GHz dual-core Qualcomm Snapdragon 400 processor, aided by 512MB of RAM. It offers 4GB of inbuilt storage, a water resistant design, and dual-microphones input. The smartwatch supports wireless charging, and packs in a heart rate sensor, Bluetooth and Wi-Fi. The 42mm variant is backed by a 275mAh battery, while the 46mm model gets a 375mAh unit. 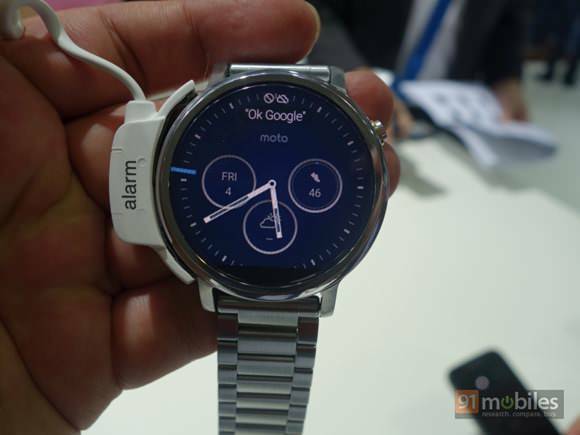 Software-wise, it runs Android Wear. The smartwatch is available in a total of five variants – two leather straps and three metal straps. Women can choose from two variants – rose gold with blush leather strap and natural metal. The men’s variants are available in both 42mm and 46mm sizes, with choices of cognac, black leather and black metal. The new Moto 360 with a 42mm dial and leather strap is priced at Rs 19,999. The 42mm model with a metal band is priced at Rs 22,999, while the 46mm variant with a metal band will cost Rs 23,999. The smartwatch will go on sale exclusively on Flipkart and Myntra starting 7.30 pm tonight.